Head to Logan's Beach from June to September in the pretty Victorian coastal town of Warrnambool, and you'll find a southern right whale nursery. Australia is a very special place. We happen to live in a biodiversity hot spot, one that spans an entire continent-sized island and so encompasses all the weird and wonderful designs nature has come up with to thrive in everything from snow-shrouded alpine forests to scorching hot red desert, tropical rainforest and coral reefs. And since its creatures have evolved near independent from the rest of the planet, Australia is filled with unique hopping, venomous, strikingly patterned and coloured animals. So, forget about saving up for the Galápagos, grab your camera and head to these wildlife destinations. To see this elusive animal would normally require the budget of a BBC wildlife film crew and some expert guides to spot them high up in the canopy. But yes, surprisingly, there is a place where you can see them in the wild. These unusual, bear-like marsupials with a long tail like that of a lemur inhabit remote regions of rainforest in eastern Indonesia and Papua New Guinea, but two species can be found in Tropical North Queensland. It just so happens that the larger of the two species, and the rarest, lives in a small stretch of rainforest that you can explore by zip wire! At Jungle Surfing in the Daintree Rainforest, there’s a family of Bennett’s tree kangaroos that have become accustomed to people soaring through the rainforest canopy, a habitat they’d normally have all to themselves. So, as you stand on a platform high up in the trees, keep an eye out for this brown-orange furred monkey-like animal. See one, and you’ll be in an elite club; until they started showing up at Jungle Surfing next to nobody had seen the Bennett’s tree kangaroo, let alone taken a picture. Tree kangaroos are highly agile and have been known to drop 20 metres from the canopy to the ground. Perhaps this happened on top of a hapless explorer in these parts and spawned the drop bear myth, whereby murderous koalas try to take your headoff by falling out of a nearby tree at an opportune moment. Koalas in Mikkira Station 30 kilometres south-east of Port Lincoln. What? A truly remarkable spot, koalas were introduced to the beautiful forest of manna gums on Mikkira Station back in the 1960s and have never looked back. Where? Mikkira Station is situated 30 kilometres south-west of Port Lincoln along the Fishery Bay Road on the Eyre Peninsula. How? Pull up to the quaint, old farmhouse, pay a $15 fee and wander a path through the gum trees to the original settlers’ Mikkira farmstead, coming face to face with koalas sitting in the trees along the way. Camp overnight to really unwind alongside the koalas. Why? The koalas are used to curious faces here so you can get within a respectful distance of them. With paths winding in and out of the gum trees and the historic homestead to wander, it’s the perfect way to spend an afternoon with the family. The koalas will look you straight in the eye as they doze in the low-lying bows of the trees. What else? Don’t miss the giant yakkas on the property. Take a short, winding walk to the colossal, alien-like plants, like something from The Day of the Triffids. Platypus are exceedingly difficult to spot, you can sit on the mosquito-infested bank of a lake for hours scanning the surface for the tell-tale ripple of this most unusual of animals, the duck-billed platypus, but alas, it’ll inevitably just be the play of the wind on the water or a surfacing trout. Set on a 61-hectare private nature reserve is Mountain Valley Wilderness Holidays, where you can stay in cosy cabins with open log fires to explore the surrounding forest of old growth white gums in the shade of Black Bluff Mountain. At dusk take a guided platypus tour of some of the creeks that flow through the property, giving you a great chance of seeing this bizarre creature. With poisonous barbs on its webbed feet, a furry coat like an otter coupled with that defining duck-like bill, it was famously thought to be a hoax when a specimen was sent back to the British Museum by Captain John Hunter in the late 18th century. “It naturally excites the idea of some deceptive preparation by artificial means,” English zoologist George Shaw wrote in 1799. It’s just one of two types of monotreme on the planet, a mammal that lays eggs; the other including the four species of echidna. While you’re at Mountain Valley keep an eye out for Tasmanian devils, too, which like to visit the cabin verandahs at night. Who knew that the best place to swim with Mantas was just off the coast of Brisbane, Queensland. People pay thousands of dollars to travel to spots where they can encounter manta rays; magnificent, graceful beasts with wingspans of up to seven metres, up there with whale sharks in terms of diving kudos. But who knew that you could swim with mantas just an hour from one of our capital cities? North Stradbroke Island, just off the coast of Brisbane, is home to the Manta Lodge & Scuba Centre. Its crew will take you to Manta Bommie, a coral outcrop 10 minutes away by boat, where you can expect to dive or snorkel with multiple manta rays on any given day. 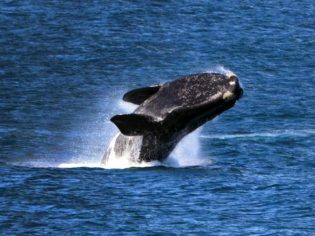 Head to Logan’s Beach from June to September in the pretty Victorian coastal town of Warrnambool, and you’ll find a southern right whale nursery. 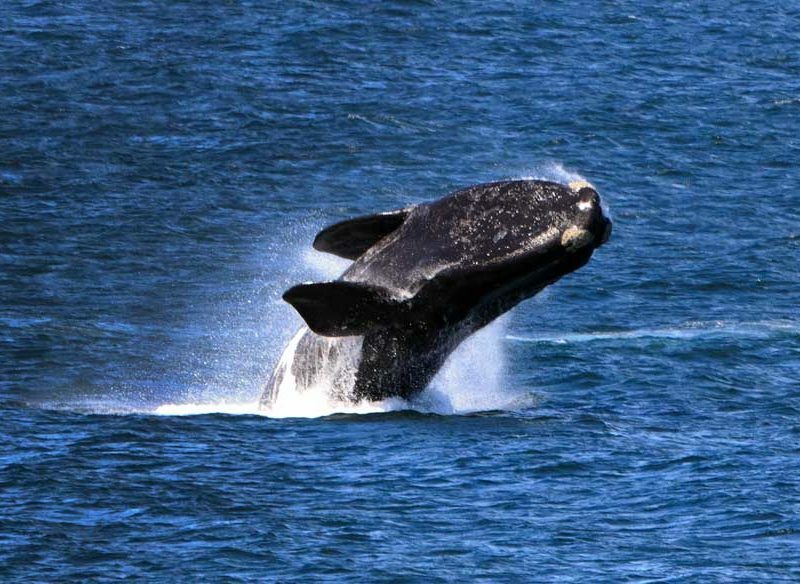 Humpbacks tend to steal all the limelight up and down the east coast when it comes to whale watching, but head to Logan’s Beach from June to September in the pretty Victorian coastal town of Warrnambool, and you’ll find a southern right whale nursery. They come here from the waters of the Antarctic every year to give birth, and you can observe their hulking, 80 to 90-tonne, barnacled bodies frolicking just a hundred metres off the beach from a dedicated viewing platform. If you’re really lucky you may see a rare blue whale, too, the largest animal to have ever existed on the planet. To get even closer to the whales try Southern Coast Charters. It’s not often you see a lot of colour on our marsupials: take the old wombat for example and the, er, grey kangaroo. The yellow-footed rock-wallaby, however, is a nonconformist. This flamboyant character can be found in the outback, flaunting a striking coat of yellow-orange legs and arms, a yellowish tail with orange bars culminating in a dark top, while a white stomach contrasts with a fawn-grey back, a black border separating the two and marking the face topped with orange ears. Their range is limited to small pockets in South Australia, New South Wales and Queensland, but the best place to spot one is surely Arkaba. Here you’ll share a 60,000-acre nature reserve with just 10 other guests staying in the rustic charm of a classic homestead. Head out on safari and have your camera ready to snap these striking animals. In Australia we’re lucky to be able to witness the wonderful sight of turtles nesting on tropical beaches and hatchlings making their way back to the ocean in their hundreds. Without the right kind of supervision, observing nesting and hatching events can be disruptive to the turtles, which can abandon a nesting site altogether. But there is a right way to do it. From November to March you can observe huge loggerheads, green and hawksbill turtles nesting near the Jurabi Turtle Centre on a stretch of the Ningaloo Reef. It’s right next to a popular rookery and you can participate in an educational viewing session, where you’ll watch a turtle nesting in a manner that’s safe for the reptiles and contributes to their conservation. Book through the Exmouth Visitor Centre on 08 9949 1176. The Great Barrier Reef isn’t the be all and end all when it comes to diving in Australia. There are some incredible dive spots that perhaps slip under the radar of most travellers, overshadowed by that Natural Wonder of the World in Queensland. Manly Dive Centre will take you into the temperate waters just off Sydney for a day of diving that should be on your bucket list. First stop: Dive site The Apartments, off Collaroy on the Northern Beaches. Here you will see shoals of yellowtail scad and unusual rock formations – some of which you can swim through. And through the masses of fish you’ll eventually see endangered grey nurse sharks emerge. Listed as critically endangered on the east coast, their fearsome faces hide a gentle nature. Growing up to 3.6 metres in length, keep a respectful distance and swim alongside these graceful predators. Second stop: Old Man’s Hat dive site, just off North Head. Here you’ll find a rocky reef of colourful sponge gardens, walls and overhangs. Take a look at the colourful sea slugs, wobbegong and Port Jackson sharks, blue groper and schools of pomfret, but keep an especially keen eye out for the well camouflaged weedy sea dragon. Weedy sea dragon (Phyllopteryx Taeniolatus), taken at La Perouse, Port Botany, Sydney, NSW. This beautiful animal can be seen gliding over the bottom disguised as a piece of floating weed. Find one, inspect it closer and you’ll see that it looks like an elongated sea horse, with a long snout, and leafy appendages that give it its name. It’s beautifully patterned with iridescent blues and yellow spots, so make sure you have an underwater camera for Sydney’s shy dragon.